‘Ailing’ Pakistan-based terrorist is being ‘constantly moved’ from one military hospital to another to avoid detection. It was a “one-time event” and India should not be concerned. This is what Pakistan Foreign Office had said when asked about the public address in which Jaish-e-Mohammed chief Masood Azhar had breathed fire before a frenzied crowd by hooking a cellphone onto a mike on 26 January 2014 in Muzaffarabad. 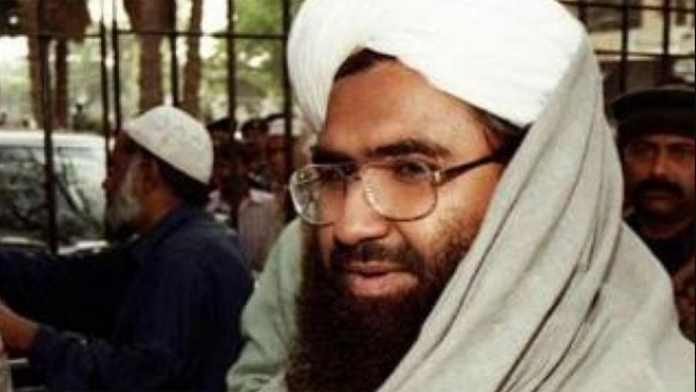 The so-called “one-time event” – as the Pakistan foreign office termed Azhar’s public address when asked by this reporter – turned out to be the rebirth of US-designated terrorist, who had been lying dormant and away from public glare for a decade after his group Jaish-e-Mohammed (JeM) was banned, months after an attack on Indian Parliament in New Delhi on 13 December 2001. One of its splintered groups, Jamaat ul-Furqan, was later suspected to have been involved in a failed assassination attempt on then Pakistan president General Pervez Musharraf in 2003. Since then, the JeM had regrouped and launched a series of new deadly attacks, including the Pathankot airbase attack (in January 2016) and the one on Thursday targeting the CRPF convoy using a suicide car bomber, reminiscent of the Taliban-style attacks. Masood Azhar is a name that ups the antenna of every single officer in the Indian security establishment. But despite his recent comeback and now being in the news after the horrific Pulwama attack, Azhar is believed to be very sick with severe renal illness. Top sources in the security establishment say that he is being treated at Pakistan military hospitals and is moved around a lot to avoid detection. Until about two years ago, Masood Azhar used to be based at the sprawling headquarters of the JeM in Punjab’s Bahawalpur, which is said to have a large swimming pool besides several rooms and a fortified basement. Azhar’s dreaded career began when he was active in Kashmir in the 1990s but remained more of a motivator and planner back then. He was known for his good fund-raising capability and had travelled to several countries, including the UK. He was arrested by the Indian security forces in 1994 and had famously told his interrogators, “Aap mujhe zyada din nahin rakh sakte hain (you can’t keep me in for long)”. There were repeated attempts to secure his release. In 1995, Al-Faran, a Kashmiri militant group, kidnapped six Western tourists and demanded Azhar’s release in exchange. But the plan failed and the tourists were killed. Azhar’s words came true in December 1999, when he was released by the Indian government in exchange for 176 passengers of Indian Airlines flight IC-814, hijacked from Kathmandu and taken to Kandahar in Afghanistan. He was handed over to the hijackers in Afghanistan and from there he made his way into Pakistan, where his second lease of life began. The following year, he created the terror group JeM, responsible for the killing of hundreds of civilians and security personnel. Now, with the Pakistani establishment working on a strategy to mainstream Lashkar-e-Taiba founder Hafiz Saeed and assimilate him into politics, Saeed has been asked to step down. And that is how Azhar has been taking on India more belligerently. However, with him being bed-ridden now, his younger brother Rauf Asghar has taken over operations against India. Unlike Hafiz Saeed, Masood Azhar is known to keep sending his family members to carry on the terror activities in Kashmir. Azhar’s nephew Talha Rashid was killed in an encounter in Kashmir in 2017. He then sent another nephew of his, Mohammad Usman, who too was shot dead in an encounter with the security forces. It is believed that Saeed then sent an Afghan war veteran and an IED expert to the Valley in December who is feared to have played a role in Thursday’s attack. India has on three occasions tried to get Masood Azhar sanctioned as a designated terrorist at the UN Security Council. But China has blocked its move every time. The last such attempt was made in December 2017. India, on Thursday, slammed Pakistan over the Pulwama terror attack, which JeM claimed responsibility for, and asked the neighbouring country to stop supporting terrorists and dismantle terror infrastructure operating from its soil. Though China has expressed deep “shock”, it skirted the issue of backing India on getting the United Nations to list Azhar as a global terrorist.